French courts nabs valuable domain name for its government. The original registrant of France.com back in 1994 has filed a lawsuit (pdf) to try to recover the domain name France.com, which the country managed to wrestle away through the French court system. France.com, Inc. filed the suit in U.S. District Court in the Eastern District of Virginia, where Verisign is located. It names The French Republic, a number of French government entities, the domain name, and Verisign as defendants. 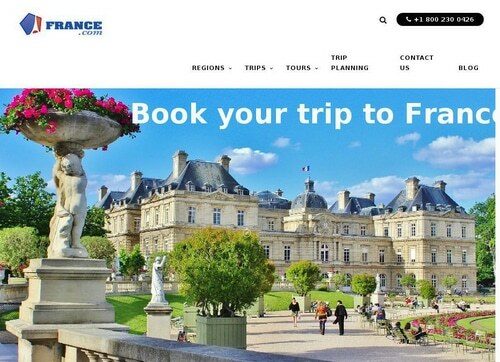 The plaintiff has been using the domain name to promote tours in France. In 2015 the defendants tried to get control of the domain name through the French judicial system. In 2016 the Tribunal de Grand Instance de Paris ordered the domain transferred to the French government. The plaintiff appealed, and the appeals court affirmed the lower court decision. The plaintiff says that the defendants lack authority to seize property in the United States (where France.com, Inc. is located) but they reached out to Web.com, the domain name registrar, and managed to get Web.com to transfer the domain name to the defendants in March. Boom. The plaintiff’s business was sunk. The site now forwards to France.fr and obviously the plaintiff’s email addresses no longer work, too. France.com, Inc. is suing on a number of grounds, including Reverse Domain Name Hijacking, expropriation, and more. It’s interesting to note that the City of Paris, France, was ordered by a U.S. court to pay $100,000 for reverse domain name hijacking and tortious interference in a domain name dispute. Something tells me they haven’t paid. It reminds me that Amazon is a geographical indication, instead of a Trademark, right? Wonder why Web.com isn’t in the lawsuit. Me too. I’m guessing because the name is no longer at Web.com, so they wouldn’t be able to put it back in the previous owner’s account. Web.com has some explaining to do. Why didn’t they stand up for registrant rights? They handed over a customer’s property based on a very dubious argument, it seems to me. If this had happened at the registrar where I work, I would have put up a fight on the registrant’s behalf. Appalling. And another reason why the ICANN transition was such a bad idea. Never would have happened prior to that. Contact Trump to mediate through his new best buddy, Macron? Governments in the past spent millions trying to get domains through the courts instead of paying a small sum. There is more going on than them just being cheap. Oh boy… This is outrageous! This goes to show you that technically you don’t own your domains.